SCD Group: What Should Associations Do About Old Emails? What Should Associations Do About Old Emails? I recently replaced my Blackberry. When I activated the new phone, it uploaded more than 14,000 old emails. And, I had a double 'whoa' when the Sony hacking story burst on the news ... including distributing private Sony emails. So, the Wall Street Journal article headlined Are You Sure You Want to Use Email? grabbed my attention and should be something associations and nonprofits consider. Electronic mail, despite many attempts to replace it, remains a vital communications tool and an ad-hoc filing cabinet for employees at most companies. Retrieving important information and attachments by searching mail—which can be stored indefinitely—is simple and fast. But as was highlighted in the Sony hack, this puts a single trove of both potentially embarrassing communication and critical company secrets within easy reach of cybercriminals. Now the company (Intel) automatically deletes emails after 90 days, unless employees individually take action to store them in folders, said Chuck Mulloy, an Intel spokesman. Deleting all those old emails (without deleting my “important” stored emails) has become a priority. 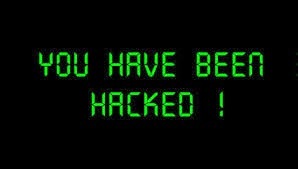 Has the Sony hacking initiated a cyber security discussion within your association? Thanks, Steve. This is part of a much larger issue of "digital hoarding" where the cost of storage keeps going down, while the cost of saving all of our "stuff" -- in terms of risk and findability goes up. There was a great article in the Washington Post this weekend. http://www.washingtonpost.com/blogs/innovations/wp/2014/12/16/just-say-no-to-digital-hoarding/. Associations and other organizations need to teach their staff about how to safely dispose of emails and other digital content that qualifies as ROT: redundant, out-of-date, and trivial. How does your association greet its members?